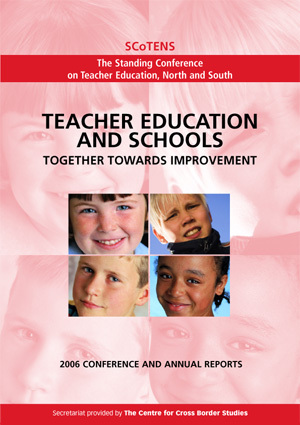 The theme of the 2006 SCoTENS conference was ‘Teacher Education and Schools: Together towards Improvement’. The theme and title sought to emphasise the centrality of the relationship between teacher education and schools and the importance of a partnership approach. For the second year running, the conference was opened by Síle de Valera, Minister of State at the Department of Education and Science. In her remarks, she endorsed the contribution being made by SCoTENS and the timeliness of the conference in the light of the findings of recent national and international reports on teacher education and student performance and the significant challenges facing teacher education north and south.